News And Insights » End of life for Magento 1 - It’s Official! You may have seen a new notification in your Magento admin panel titled "Magento Open Source 1 software security patches thru June 2020". Last week, Magento announced the date support for Magento 1 will finally cease. We’ve been expecting this announcement for some time and as a Magento Partner, Absolute has been given first-hand knowledge about what this will involve. So when will support end? In short, June 2020 is the cutoff date when support for Magento 1 will end. For Magento Commerce (formally Enterprise), this is based on your account being in ‘good standing’. It’s also worth noting that support for third party extensions/customisations is the responsibility of the merchant or module vendor. Support for these non-core modules and customisations may extend past June 2020, or cease before this date. This means that any store running Magento 1, should upgrade their version to 1.9.2+ before the December 2018 deadline. At this point it would also be sensible to upgrade the version of PHP to 7.2 (using the Magento Patch), so it is future proofed for any support patches released by Magento as of the June 2020 cut off date. Upgrading to PHP 7 will also have significant performance benefits. Although there are signs the wider Magento community may pick up some slack to support Magento 1 past June 2020, in our view, now is the time to start planning for the change. Some module vendors are already offering only minimal M1 support and in some cases are discontinuing their Magento 1 modules. 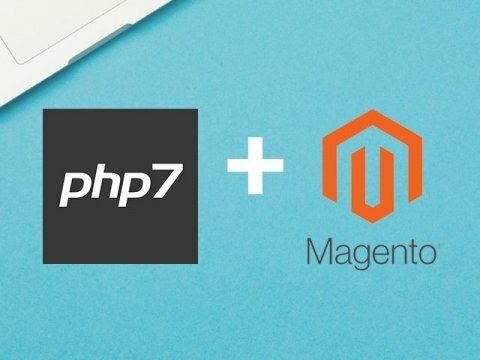 We're pleased to see Magento offering support up to PHP 7.2. A few of our clients have upgraded to 7.1 and the performance difference is appreciable. If this has got you thinking about upgrading your Magento website, or migrating to M2, then our Magento certified developers are here to help. Get in touch to find out more.